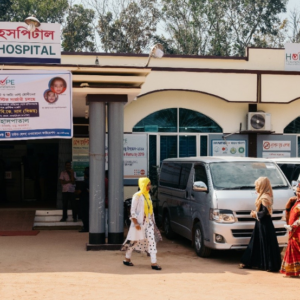 Vaccine delivery falls at the intersection of health systems and energy access, as immunizations require a cold chain, or temperature-controlled supply chain, to maintain product quality during transport. The World Health Organization estimates that one quarter to half of vaccines are wasted each year, largely due to failures in the cold chain. 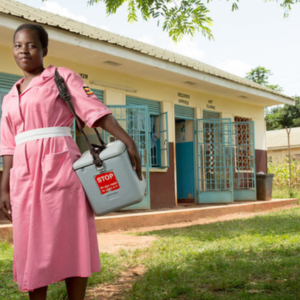 Better vaccine storage and more reliable sources of electricity can decrease vaccine waste and increase vaccine coverage, which is especially important for clinics at the primary level of health systems. Since mid-2017, more than 723,000 Rohingya refugees have fled from Myanmar to neighboring Bangladesh, where services are stretched beyond their limits. The massive global humanitarian response has been addressing immediate needs, such as access to clean water, shelter, and health services. To learn more, we spoke with Dr. Mahmood from the Hope Foundation, who has recently partnered with SolarKiosk and others to deploy reliable energy solutions to power up essential health services.